From the time of the last king of the Bazdeo dynasty, Limbuwan was ruled by eight chiefs and their descendants; none of them rose to become powerful enough to subdue all and none came to prominence. During this period, people migrated in and out of the Limbuwan region and around the 6th century AD, a group of people from the Shan-Makwan areas in China and Burma moved to Assam in India and eventually to the Limbuwan area in Nepal. 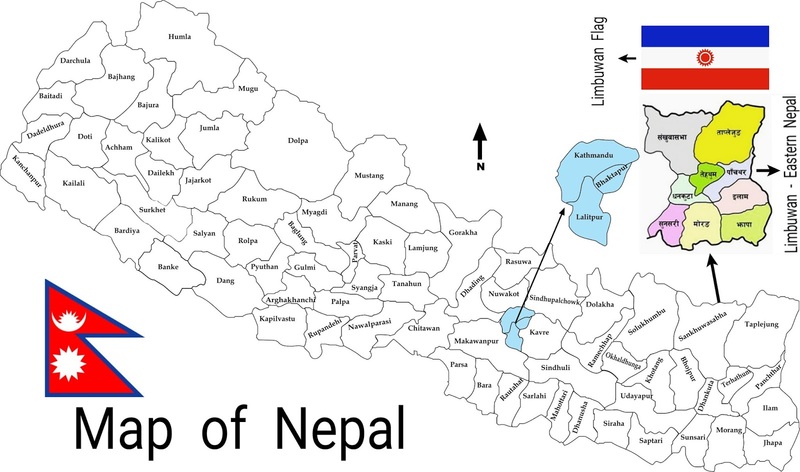 The assimilation of the original Kirants of Limbuwan, the migrants from Tibet, the Mongols and the tribes from the Bihar area and finally the migrant people of Shan-Makwan gave birth to the new nation of Limbuwan, the nationality of Limbu and Limbu culture. During the latter years of the rule of the eight Kiranti chiefs, the population of Limbuwan multiplied and families increased in number. Feeling that this was a threat, the eight rulers started to suppress the people. When the descendants of the Shan Mokwan people (the latest immigrants to Limbuwan) could not stand this any longer they devised a plan to overthrow the eight chiefs. They met at Ambe Pojoma and decided to revolt against the eight chiefs. The rebel leaders erected three stone pillars and planted three mango trees around them. After sprinkling holy waters, the rebel leaders and the rebel army took an oath that everyone would fight against the tyrant chiefs and would not return home until they had beaten the rulers. The meeting place of Ambe Pojoma still exists to this day, and the battle of eight chiefs is incorporated in Limbu Mundhum ever since. After knowing that the rebellion was breaking out in their country; the eight rulers raised their own army and aimed at massacring and displacing people of Shan-Mokwan dulers were defeated in every village by the rebels. 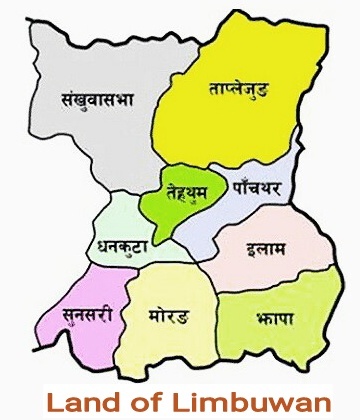 All the eight rulers were either killed or chased away from Limbuwan territory.